If you’ve been keeping a close eye on flooring trends in recent years, you will have noticed that bamboo as a natural surface covering material has become more popular, due to its many similarities to hardwood flooring, even though it is actually produced from a type of grass. But understanding the properties of any type of flooring before making a purchasing or maintenance decision is critical in order to ensure that the particular flooring works with your lifestyle. Though it may come as a surprise to many, bamboo flooring is in fact quite strong and durable. On the Janka hardness scale, which measures the hardness of different types of wood, natural, un-carbonized bamboo come in at the middle of the scale, with ratings of 1380 and 1180, that was properly harvested and manufactured can be as durable as red oak. Because of the manufacturing process, the strand woven bamboo is much harder, with a rating of 3000, it sits towards the top of the scale, which means it’s comparable (though a little softer) than Brazilian walnut. Bamboo, whether in solid or strand form, would have all its natural characteristics. 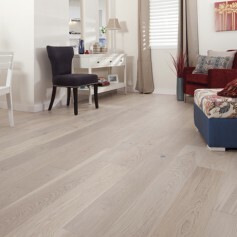 Bamboo is a trendy flooring material that can elevate the elegance of a space almost instantly. 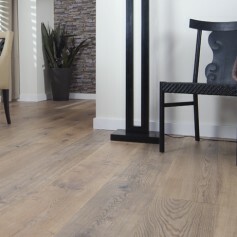 For those drawn to a clean, modern aesthetic, bamboo flooring lends itself to that style perfectly. 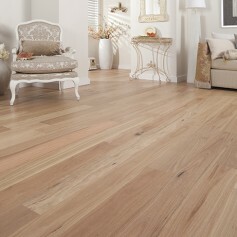 It has an appearance and a feel that is similar to hardwood and yet, is still distinct and different. The differences can be subtle yet undeniable. 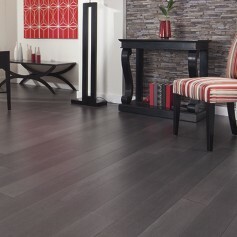 The trendy flooring option is elegant which can add an ineffable quality to a room. One benefit of bamboo flooring is that it is available in a variety of styles and colors. An extensive range that includes vertical bamboo flooring, horizontal bamboo flooring, carbonized bamboo flooring, natural bamboo flooring, hand scraped bamboo flooring, tinted bamboo flooring, etc., ensures that the customer has a pool of options to choose from. You can opt for myriad designs and colors as well: natural bamboo—light blonde color, carbonized bamboo—darker in color because the sugars in the plant caramelize due to longer boiling times, and stained bamboo—colored with a variety of stains available in light, medium, and dark shades. You may also opt for refinishes or laminates to make the floor all the more appealing. 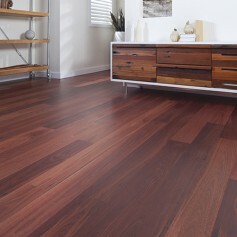 No matter what taste there is to consider, bamboo flooring has an option guaranteed to please. 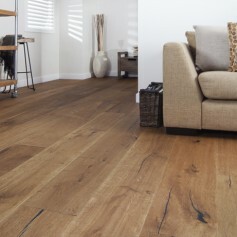 Do you dream of hardwood floors but don’t think they’re within your budget? 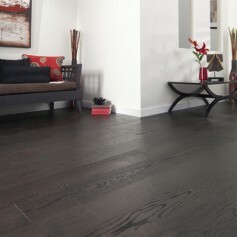 Bamboo flooring is a happy compromise, it is available at a more budget-friendly price point. When considering the durability of the flooring combined with its exotic, unique flair and eco-friendly factor, it is one of the most cost effective options for a home because it is less likely to need repair in the long run. In an age where deforestation is on the rise, bamboo flooring comes across as the perfect solution to the problem of conserving trees and forests. Because, the bamboo plant is a highly renewable resource that is able to grow to maturity and hardness in as little as three to five years. This is much faster than hardwood trees which can take upwards of twenty years or more to reach maturity. Therefore, there is no threat to the forest cover whatsoever. The rapid regrowth rate gives bamboo a point in the eco-friendly department, and bamboo is seen by many people as much more sustainable than traditional hardwood. 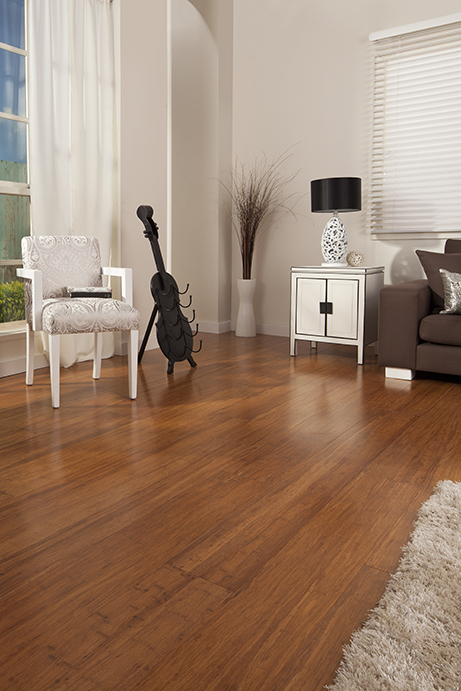 Bamboo flooring is fairly low maintenance, as special cleaning agents are not needed and in fact should be avoided. You just have to sweep or vacuum it regularly to remove small particle debris. You can also occasional damp mop it, or clean it with a non-wax, non-alkaline, hardwood or bamboo floor cleanser. This is a huge pro to many time-crunched homeowners. 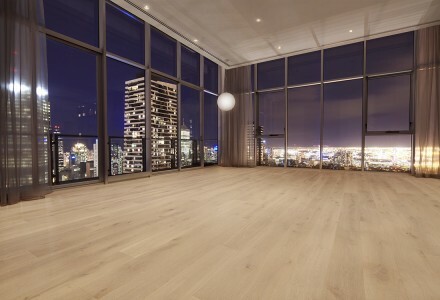 In further comparison to traditional hardwood flooring, bamboo is slightly more resistant to water damage, stains, and warping, although it is still not exempt from damage. Because bamboo floors can become discolored, dented, or scratched over time, it is lucky that the surface of this material can be refinished, sanding it down and then reapplying the finishing coats to achieve the look of new bamboo flooring. The amount of sanding that can be done will be determined by the thickness of the planks used. So, you can do this once every few years as long as the floor is thick and layered enough. 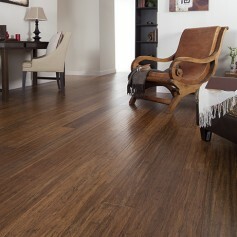 As mentioned above, bamboo has good water and moisture resistance properties than the average hardwood. But it is still a natural material made of organic elements, too much moisture will cause warping, discoloration, or even mold growth.The reason is, water lying on a bamboo floor for a prolonged period can eventually seep in causing the bamboo to swell and weaken.So we should take care to clean bamboo floors and keep them dry and devoid of moisture. If the bamboo flooring is installed in a very humid area, the moisture in the air can cause the floor planks to plump up (expand). In a dry environment, the planks can shrink. Either way, the bamboo will likely crack. Bamboo flooring can be installed in almost any room, above or below the ground, over wood, OSB (Oriented Strand Board), and existing vinyl flooring. While the durable flooring is suitable for high traffic areas, as well as areas prone to scratching and denting, the kitchen, the laundry room, and bedrooms, it is not suitable in areas prone to excessive wetness such as bathrooms. You cannot have bamboo floors in any place that is expected to get wet. Extended exposure to moisture can cause a bamboo flooring to warp, bend, or swell. While a bamboo floor is relatively easy to maintain, lower quality bamboo dents or scratches fairly easily, although it is nearly impossible to keep any type of bamboo flooring perfect if it is used regularly. There are a wide variety of things that can cause nasty scratches in the surface of a bamboo floor. High heels, pet claws, furniture legs, and even pointy heeled shoes can all damage the surface over time, as can sand or the tiny particles of everyday life. However, this is not something that is limited only to bamboo flooring; wood flooring is also susceptible to the same condition. Above all, we enumerate the pros and cons of bamboo flooring, obviously, the advantages certainly outweigh the disadvantages of bamboo, but the choice is ultimately yours.